Six young warriors are tasked with protecting the mysterious Luminae, a holy creature of Light in exile from those forces of Darkness that would decimate humanity. When one of the warriors disappears, the others know it is the sign of a superior evil soon to arrive. A stylish dark fantasy by the celebrated artist of Batgirl, All-New Wolverine, Naja, and Meka. 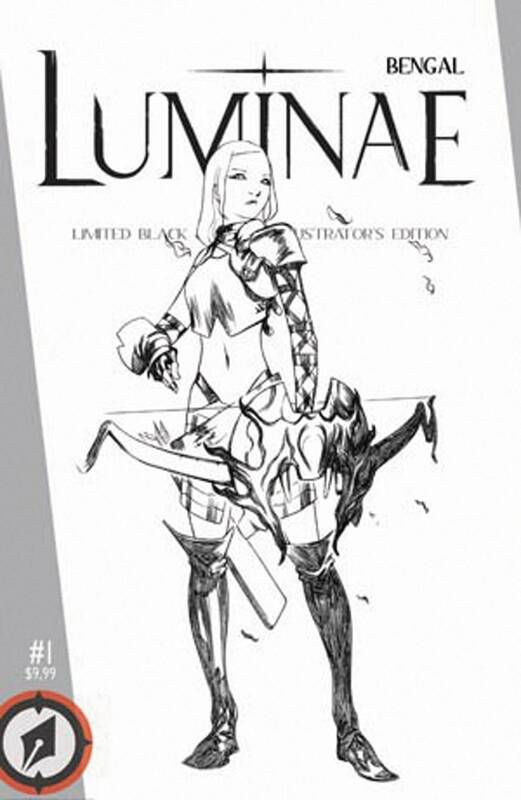 This special black-and-white 'Illustrator's Edition' features 28 pages of uncolored pencil-and-ink artwork created for his original graphic novel Luminae, available in a complete, full-color hardcover. Limited to 350 copies.